"TOGETHER... for the first time"
Ellie is spoiled and rich. Whatever whim she desires, she gets from her doting father. The only price to pay is that she is forced to follow her father's every command. One day she decides to run away and seek out true love. On the way she meets a handsome, yet broke, reporter and embarks on an adventure. The duo quickly fall in love but a misunderstanding may end up splitting them up before the truth comes out. 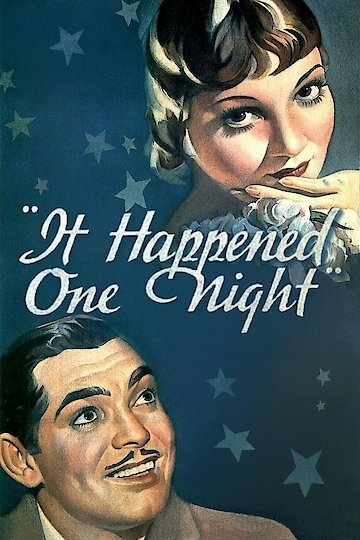 It Happened One Night is currently available to watch and stream, buy on demand at Amazon, Vudu, Google Play, FandangoNow, iTunes, YouTube VOD online.